Tobacco has been grown in Cuba on plantations situated on the banks of Almendares River and in the Arimao, the central region of the island, since the early 1600’s. During this period, tobacco smugglers transported tobacco to foreign markets with production increasing to exceed sugar production due to its lowering cost. Cuba has long been known as the global leader in high-quality tobacco products, the world-famous Cuban cigar is rolled from tobacco leaves, filler, binder, and wrapper grown in various locations throughout the island. Since the revolution, the Gobierno Cubano (Cuban Government) controls all cigar production within the country. Cuban cigar rollers, called torcedores, are recognized as the most skilled cigar rollers in the world, and they maintain high respect within Cuban society. Christopher Columbus landed on the island in 1492, and at this time he “discovered” tobacco. One year later, European explorers transported tobacco to the European continent. Spain was the European country to initially adopt tobacco, and it then became popular in Russia, Persia, Turkey and Japan. Tobacco plantations exploded in growth throughout eastern Cuba during the 18th century as a result of European demand, and the use of tobacco then spread westward. Natives throughout the “new land” used tobacco, called cohiba, as a medicine which exhibited “miracle” attributes and it became widely used in tribal ceremonies. King Felipe V of Spain declared a royal monopoly on tobacco in 1717 through 1817 and at that time a Royal Decree countermanded the monopoly. In 1827, the number of Cuban tobacco plantations grew to 5500. At this time free trade resumed between Cuba and the rest of the world through Spanish ports. Because of the growing use of tobacco from Cuba, hundreds of worker immigrants from the pacific islands worked in the tobacco industry throughout the 19th century. 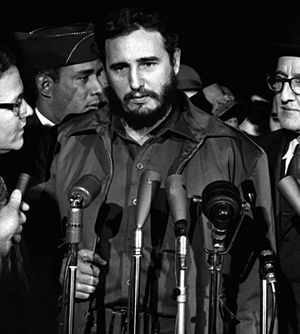 was sanctioned by President John F. Kennedy, to prevent U.S. residents from purchasing Cuban cigars legally. At this time it is still illegal for residents of the U.S. to buy or import a Cuban cigar no matter where the item is procured on the globe. sugar. The Pinar del Rio province is the current site of most production and Cubatabaco and Habanos SA are the two manufacturers and exporters of Cuban machine and hand rolled cigars to the global market. These products continue to carry a high status and are often imitated, with a reported 95 percent of Cuban cigars sold in the U.S. being counterfeit.